Pleasant Grove v. Summum. The Becket Fund for Religious Liberty (n.d.). Retrieved from https://www.becketlaw.org/case/pleasant-grove-v-summum/. Pleasant Grove v. Summum. (Apr. 04, 2019). https://www.becketlaw.org/case/pleasant-grove-v-summum/. "Pleasant Grove v. Summum." The Becket Fund for Religious Liberty. Accessed [Apr. 04, 2019]. https://www.becketlaw.org/case/pleasant-grove-v-summum/. 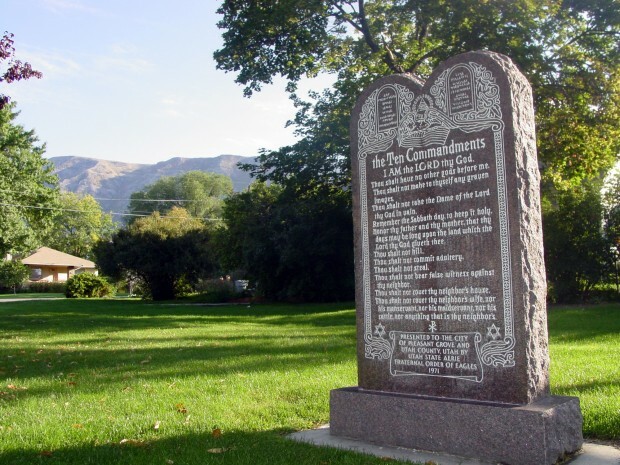 The city of Pleasant Grove, Utah included a Ten Commandments monument —along with other monuments—in its city park. A small religious group wanted to include its own religious monument in the same park, but was denied the permission to do so. Defending the city’s right to exclude the additional monument, Becket’s amicus brief argued that the city park displays were government—not private—speech, which meant that the city could legitimately decide which monuments to include and which to exclude. The U.S. Supreme Court agreed, and its majority opinion relied on similar reasoning: such government speech was not subject to scrutiny under the First Amendment’s Free Speech Clause. American Center for Law and Justice and Akin Gump Strauss Hauer & Feld, LLP were counsel in this case.